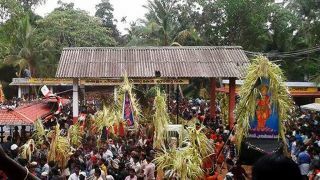 Kaliyatta Kavu is a famous temple dedicated to Ammancheri Amma (Mother Goddess) and is located at Moonniyur in Malappuram. 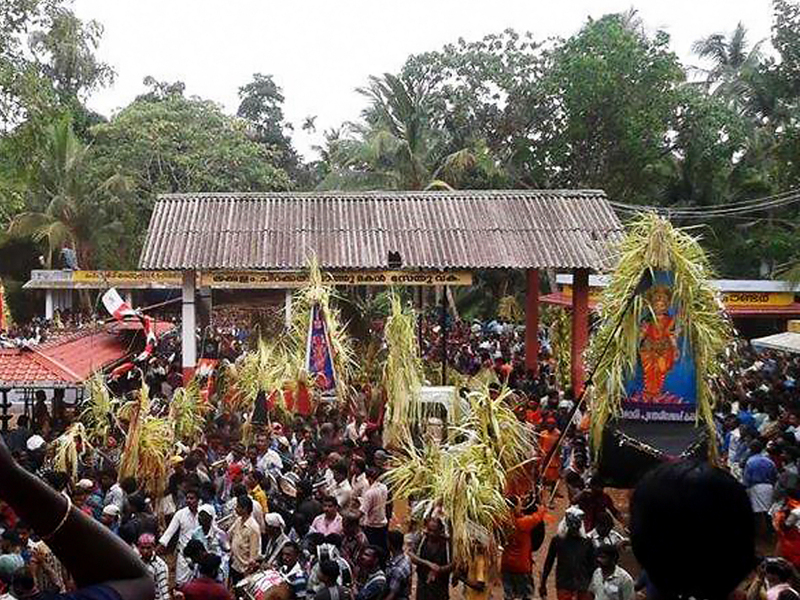 The annual kaliyattam festival, also known as Thalapoli Utsavam is celebrated as a huge event by the devotees. 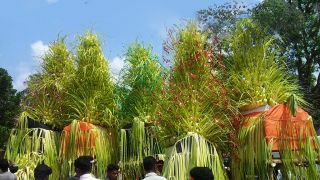 Procession of Kozhi Varavu or hen shaped effigies, made of bamboo and tender coconut leaves and Kuthira Varavu (horse effigies) is a treat to your eyes. 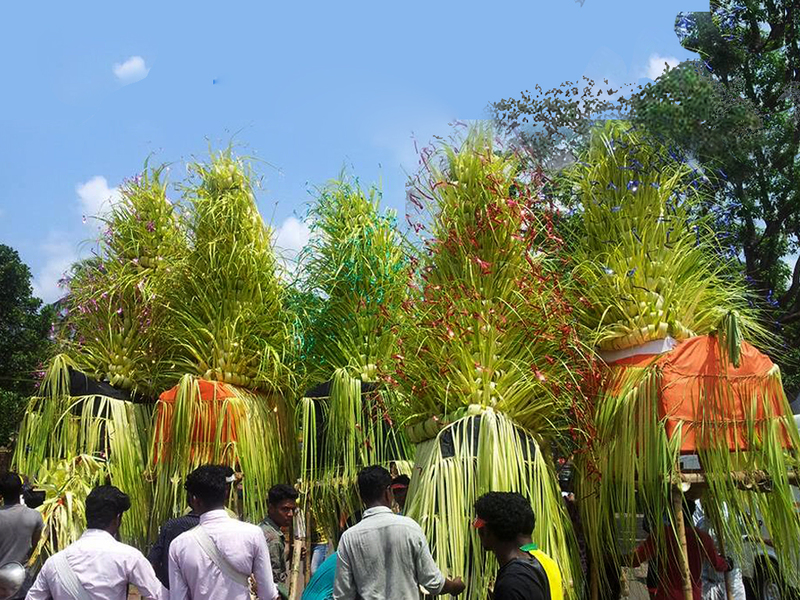 The annual festival is celebrated in the Malayalam month of Edavam. 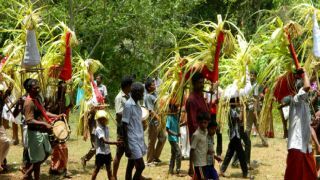 The festival begins on the first Monday of Edavam. 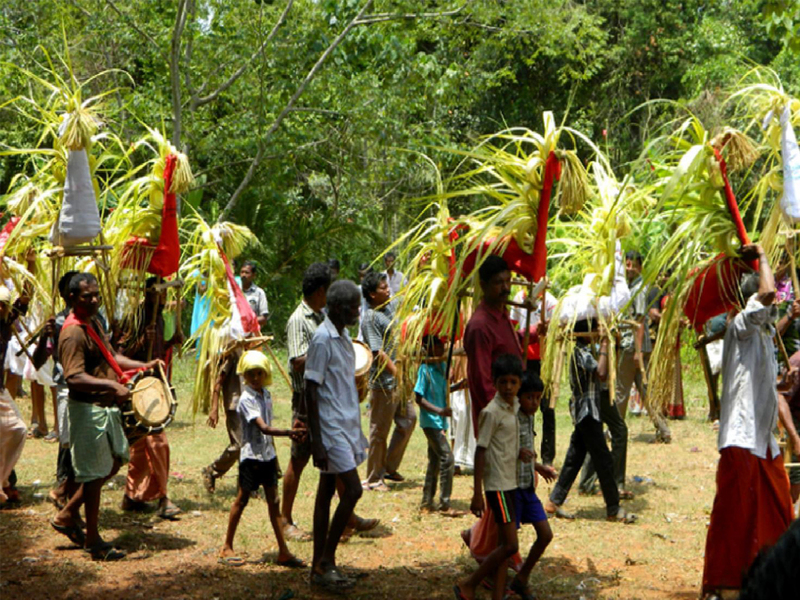 Devotees carry effigies as procession to the temple accompanied by percussion instruments. Conceived as divine forms, these effigies are brought from far places. After the ritualistic circumambulation the effigies will be destroyed near the temples. In the evening there will be Thalapoli.